SYRACUSE — Wawasee’s school board held a special meeting Tuesday, Aug. 2, to swear in a new member, Don Bokhart, and give permission to advertise the 2017 budget. The board also approved two new administrative employees: Sandra Weaver, replacing Wendy Hite as the corporation’s director of special education, and Cory Schutz, Steve Wiktorowski’s replacement as Wawasee High School athletic director. 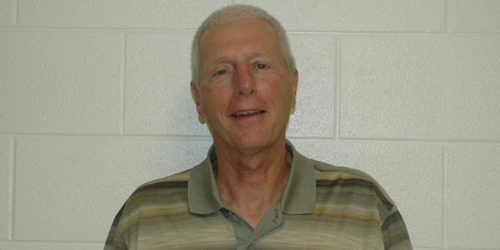 Bokhart joins the board after 40 years as an educator in Goshen area schools. “I still have a passion for education and want to stay involved,” he said. As well as teaching, Bokhart served as a teacher on special assignment, or TOSA, an administrative position. Following Bokhart’s swearing in, Jim Evans presented the board with an overview of the 2017 budget, noting “not a lot has changed” since last year due to steady student enrollment. The capital projects fund, determined locally, will source the infrastructure necessary to support this year’s new 1:1 initiative, placing a computer with every student and teacher. Evens also mentioned Milford School as the recipient of a large portion of funds with the upgrades to its athletic facilities. All of the funds are capped, according to Evans. “We live with the budget the state gives us.” The board passed a motion to advertise the 2017 budget of $3.5 million, though the final amount will probably be far lower. Schutz said he is “excited to be back” at Wawasee High School, where he previously taught and coached various sports, including softball, for 17 years. Joseph Bontrager will teach fourth grade at Milford School. Ashley Dirck will teach first grade at North Webster Elementary School. Emily Buttermore will teach kindergarten at North Webster Elementary School. Kim Gause will teach visual arts at North Webster Elementary School. Erica Kimble will teach fourth grade at North Webster Elementary School. Chelsea Emerick will teach third grade at North Webster Elementary School. Dustin Stutsman will teach functional skills at North Webster Elementary School. Jaime Hollar will be a temporary fourth grade teacher at North Webster Elementary School. Morgan Eck will be a temporary second grade teacher at Milford School. Gabe Fitzsimmons will transfer from fourth grade to third grade at North Webster Elementary School.